Tom Jones’ wife, Melinda Rose Woodward, has died after a “short but fierce battle with cancer”. 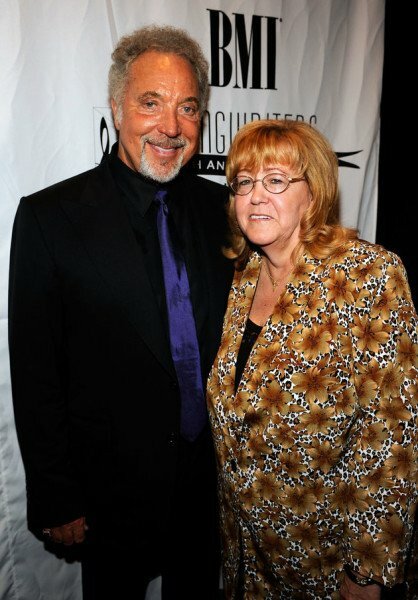 Melinda Rose Woodward – known as Linda – who was married to Tom Jones for 59 years, died on April 10 at Cedars Sinai Hospital in Los Angeles. According to a statement on the 75-year-old musician’s website, she died “surrounded by her husband and loved ones”. Tom Jones recently cancelled concerts due to a “serious illness” in his family. The singer, famous for hits including Delilah and It’s Not Unusual, had been due to perform at a number of his tour dates in Japan, Thailand, South Korea and the United Arab Emirates, but apologized to fans after pulling out. Tom Jones met his wife, his childhood sweetheart, when they were both 12 and growing up together in Treforest, Pontypridd. They started dating at 15 and married when they were 16 in 1957. They had one son Mark, 59, who is also Tom Jones’ manager. In his 2015 autobiography titled Over The Top And Back, Tom Jones revealed they wanted more children, but a miscarriage had left Melinda infertile. Speaking ahead of the book’s release, Tom Jones told the Sunday Times Magazine while he enjoyed life in the spotlight, his wife had always preferred being at home and had become increasingly reclusive in recent years, rarely leaving their Beverley Hills home.